Implementations must support at least 1 MediaSource object with the following SourceBuffer configurations. 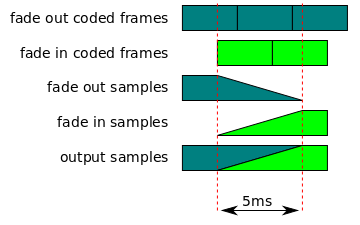 MediaSource objects must support each of the configurations below, but they are only required to support one configuration at a time. Supporting multiple configurations at once or additional configurations is a quality of implementation issue. If type is an empty string then throw an INVALID_ACCESS_ERR exception and abort these steps. For example, a user agent may throw a QUOTA_EXCEEDED_ERR exception if the media element has reached the HAVE_METADATA readyState. This can occur if the user agent's media engine does not support adding more tracks during playback. If the new value equals NaN, then throw an INVALID_ACCESS_ERR and abort these steps. If the new value is less than or equal to appendWindowStart then throw an INVALID_ACCESS_ERR exception and abort these steps. If the new value is less than 0 or greater than or equal to appendWindowEnd then throw an INVALID_ACCESS_ERR exception and abort these steps. If generate timestamps flag equals true and new mode equals "segments", then throw an INVALID_ACCESS_ERR exception and abort these steps. If the append state equals PARSING_MEDIA_SEGMENT, then throw an INVALID_STATE_ERR and abort these steps. Specifies the default values to use if kind and/or language information is not available in the initialization segment when the initialization segment received algorithm needs to create track objects. This attribute is initially set to an empty TrackDefaultList object. Appends segment data to the source buffer from a Stream[ STREAMS-API ]. If duration equals NaN, then throw an INVALID_ACCESS_ERR exception and abort these steps. If end is less than or equal to start or end equals NaN, then throw an INVALID_ACCESS_ERR exception and abort these steps. If the first initialization segment flag is false, then run the end of stream algorithm with the error parameter set to "decode" and abort this algorithm. If the SourceBuffer has been removed from the sourceBuffers attribute of the parent media source then throw an INVALID_STATE_ERR exception and abort these steps. When a Stream[ STREAMS-API ] is passed to appendStream(), the following steps are run to transfer data from the Stream to the SourceBuffer. This algorithm is initialized with the stream and maxSize parameters from the appendStream() call. If audio language equals an empty string, then run the default track language algorithm with byteStreamTrackID set to audio byte stream track ID and type set to "audio" and assign the value returned by the algorithm to audio language. 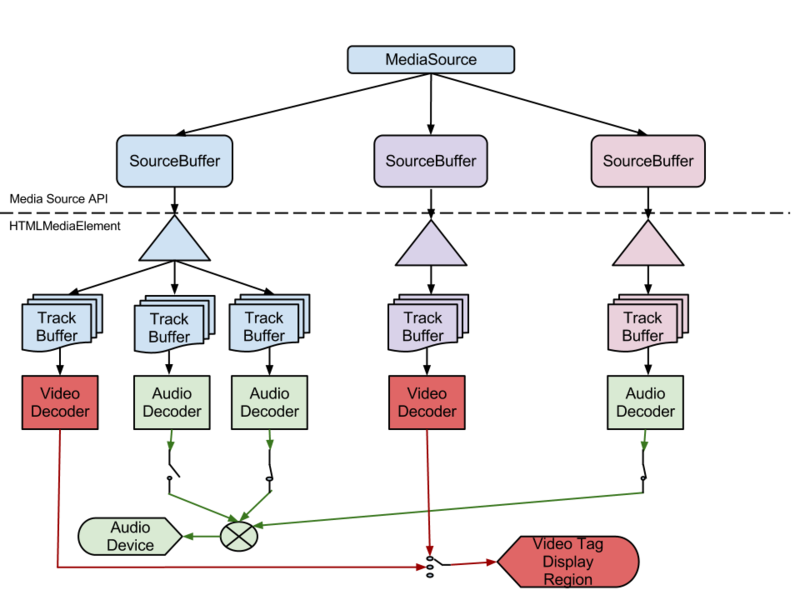 If video language equals an empty string, then run the default track language algorithm with byteStreamTrackID set to video byte stream track ID and type set to "video" and assign the value returned by the algorithm to video language. If text language equals an empty string, then run the default track language algorithm with byteStreamTrackID set to text byte stream track ID and type set to "text" and assign the value returned by the algorithm to text language. If the decode timestamp is less than the presentation start time, then run the end of stream algorithm with the error parameter set to "decode", and abort these steps. The TrackDefault object is used to provide kind and language information for tracks that do not contain this information in the initialization segments. This information is only consulted when the initialization segment received algorithm creates track objects. if language is not an empty string or language is not a BCP 47 language tag, then throw an INVALID_ACCESS_ERR and abort these steps. If any string in kinds contains a value that is not listed as applying to audio in the kind categories table, then throw an INVALID_ACCESS_ERR and abort these steps. If any string in kinds contains a value that is not listed as applying to video in the kind categories table, then throw an INVALID_ACCESS_ERR and abort these steps. If any string in kinds contains a value that is not listed in the text track kind list, then throw an INVALID_ACCESS_ERR and abort these steps. If trackDefaults contains two or more TrackDefault objects with the same type and have byteStreamTrackID equal to an empty string, then throw an INVALID_ACCESS_ERR and abort these steps. This ensures that there is only one "byteStreamTrackID independent" default for each TrackDefaultType value. The editors would like to thank Alex Giladi, Bob Lund, Chris Poole, Cyril Concolato, David Dorwin, David Singer, Duncan Rowden, Frank Galligan, Glenn Adams, Jer Noble, Jerry Smith, Joe Steele, John Simmons, Kevin Streeter, Mark Vickers, Matt Ward, Matthew Gregan, Michael Thornburgh, Philip Jägenstedt, Pierre Lemieux, Ralph Giles, Steven Robertson, and Tatsuya Igarashi for their contributions to this specification.